Emmys 2017: Where The F*** Is Michael McKean’s ‘Better Call Saul’ Nomination? Better Call Saul is a very, very good series, and for the most part, awards shows have given credit where credit is due. The Breaking Bad spin-off has earned its fair share of nominations, including some much-deserved attention for Bob Odenkirk‘s turn as the eponymous Saul/Jimmy McGill, and Jonathan Banks‘ stoic, multi-faceted Mike Ehrmantraut. This year’s Emmy nominations were announced this morning and Odenkirk and Banks were once again honored with nods, but there was one glaring omission from Saul‘s haul: Michael McKean. Where McKean’s name presumably should have appeared in the ‘Outstanding Supporting Actor in a Drama Series’ category was Banks’ instead – and frankly, this is wrong. 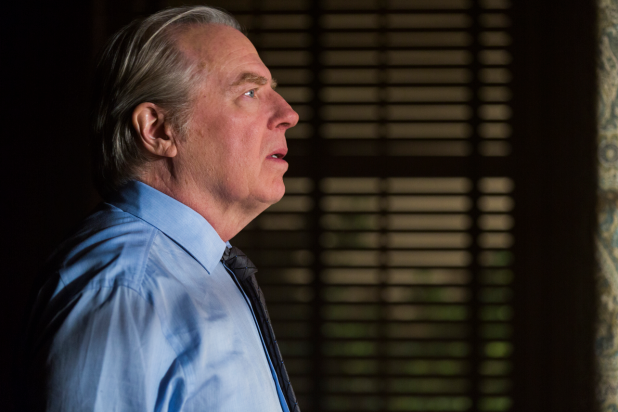 This is not a dig at Banks; he is undoubtedly one of the show’s strongest performers, but this season was a platform for McKean’s breathtaking performance as Chuck McGill, the mentally ill older brother of Odenkirk’s morally-conflicted protagonist. This might be bold to say but it’s certainly not an overstatement: McKean delivered the best performance on television this year. McKean, perhaps best known for his comedic turns in This Is Spinal Tap, Best in Show, and Laverne & Shirley, stunningly managed to manifest a complex, frustrating, humorless man in Charles McGill as soon as we met him in Saul‘s first season. Convinced he’s plagued by an electromagnetic sensitivity, he holes himself up in his powerless home, frantically telling any visitors to ensure that they leave anything with an electric charge outside of the house. While his arc in the show’s first two seasons largely sparked a fickle audience reaction and left him standing in a villain’s shoes, Chuck’s development over the course of Saul‘s recently concluded third season is absolutely astonishing – and that is all thanks to the heart-stopping dedication of Michael McKean. Doggedly committed to doing the right thing (even at the expense of loved ones), Chuck maddeningly takes down his brother when he finally gets proof of his legal wrongdoings, and this is where the real audience treat begins. Once comfortable on his high horse, McKean gifts us with a character both immensely dislikable and devastating, and watching his slow dismantling is painful. The demands that Chuck places on McKean are certainly not lost on viewers, and with every line spoken, grimace expressed, and decision made, the actor fully pours himself into this flawed, disturbed man who unflinchingly believes he’s in the right. There are many instances over the course of Better Call Saul‘s run that put McKean’s flooring work on display, but for this infuriating snub, I will show you only Exhibit A, the scene above taken from “Chicanery“. The crushing sequence watches Jimmy fully commit to decimating his brother in front of an audience of Chuck’s peers, and McKean effortlessly shifts between a self-assured figure on moral high ground to a desperate, mentally ill man consumed with resentment, self-righteousness, and rage. It’s heart-wrenching, and after compelling us to loathe Chuck for two seasons, we suddenly ache for him. “I am not crazy!” he insists repeatedly. In a single, long take that slowly brings us closer to Chuck’s explosive demise, we watch him completely unravel and take us on a roller coaster of emotions. “He gets to be a lawyer? !” he shouts. “What a sick joke.” Those blue eyes water, his voice cracks, and his sudden realization of what he’s done – of the instability he’s revealed as he finally takes a breath and faces the stunned panel – is extraordinary. You might even realize you’ve been holding your breath the whole time. There are no cuts here. No help from the editing department. It’s all on him. Every actor dreams of being able to do what McKean does in this single scene, but few will ever come close. Those two minutes alone are proof enough of McKean deserving every award available to an actor this year, which leaves us with only one question: what the hell, Emmys? There is no performer more deserving of recognition this year than Michael McKean – and his snub (and likely inability to earn any nods for this role in the future due to his character’s tragic end) feels like a sick joke. ©2019 – Jade Budowski. All Rights Reserved.